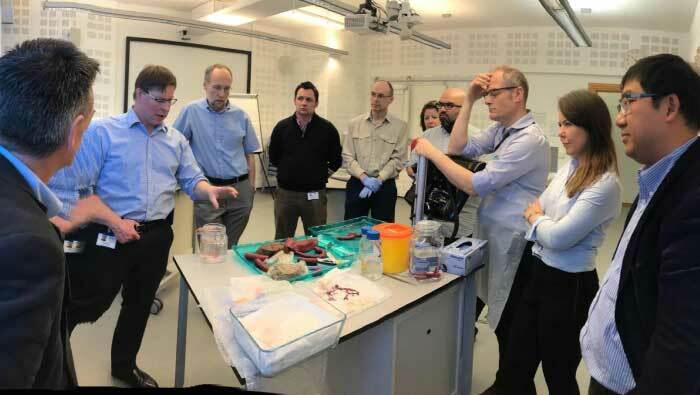 At the invitation of Professor Angus Watson, Director of Research, Development and Innovation, NHS Highland, the OrganLike Team visited the Scottish Surgical Boot Camp to share its technology and products with some of the most experienced and new generation surgeons in Scotland. OrganLike brought along a selection of its vascular and organ models for review and these were received with a lot of enthusiasm. Very importantly for OrganLike, we received significant valuable feedback on product performance, surgical requirements and many ideas on how we can fulfill surgical needs in future projects. Two proposals for immediate collaborative development projects were agreed in principal and these shall be taken forward this summer. it should be easy to produce the right-side of the left knee meniscus? “OrganLike is a great example of innovation and collaboration that is now typical among organisations based at Inverness Campus. Their product has clear global marketing potential and will create new highly skilled and well-paid jobs.